Product information "Roman Rothschild of Switzerland Model R 1023"
For the stylish women collections, the highest quality materials are used. Unique brown gradient lenses in combination with the silver golden frame. 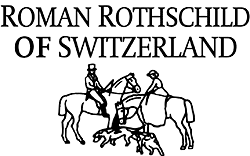 Related links to "Roman Rothschild of Switzerland Model R 1023"
Our comment on "Roman Rothschild of Switzerland Model R 1023"